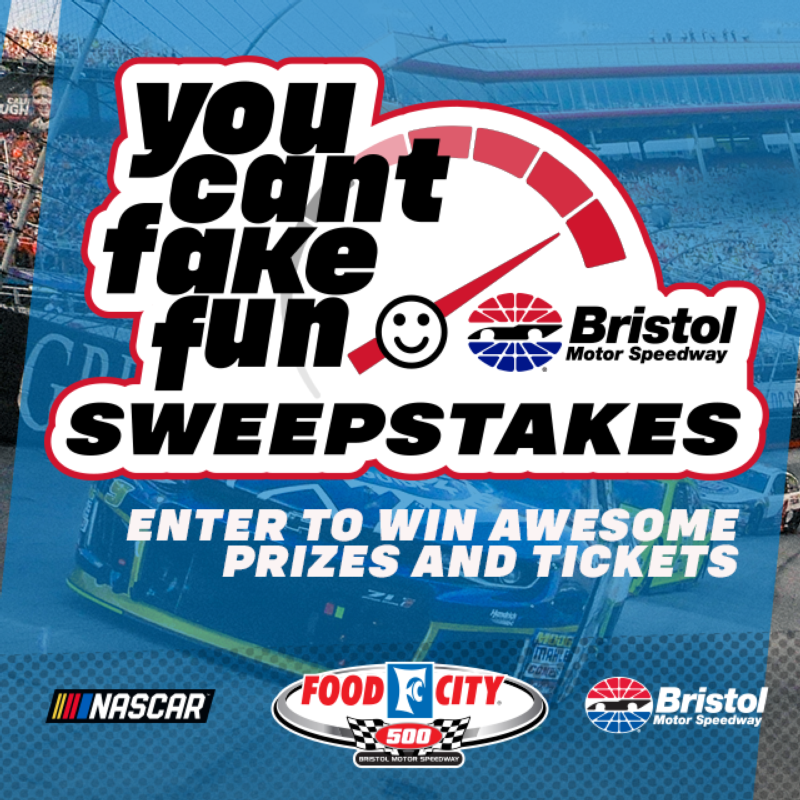 Fans are able to register for the You Can't Fake Fun at Bristol promotion until 11:59 p.m. on Sunday, March 24. Only one entry is allowed per person. Winners will be drawn on Tuesday, March 26. 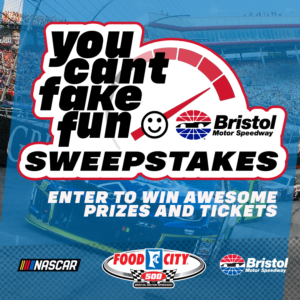 Bristol Motor Speedway would like to thank the following partners for participating: Food City, Bass Pro Shops, Anheuser-Busch, Bush's Beans, Ruby Falls, Coca-Cola, and Durango.